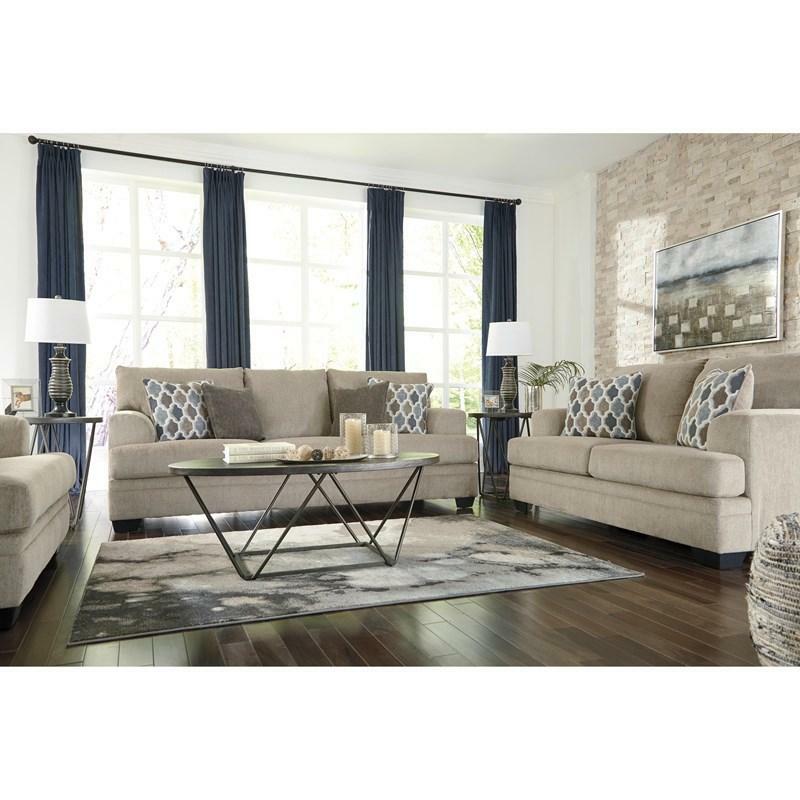 The contemporary Dorsten living room set has comfort written all over it. 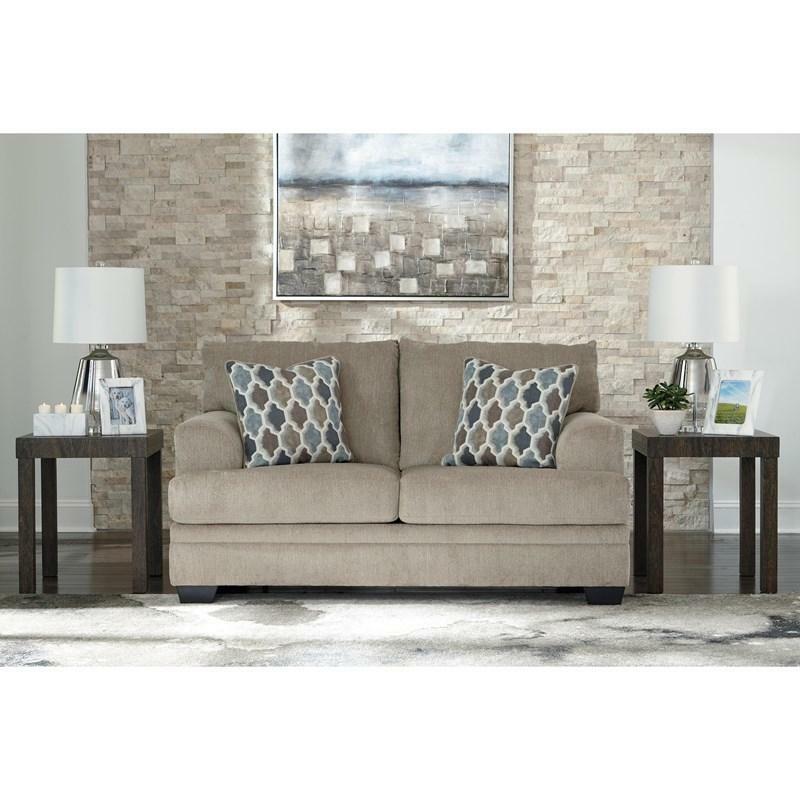 From the plush cushions to the textured fabric, it’s a total winner for relaxation. 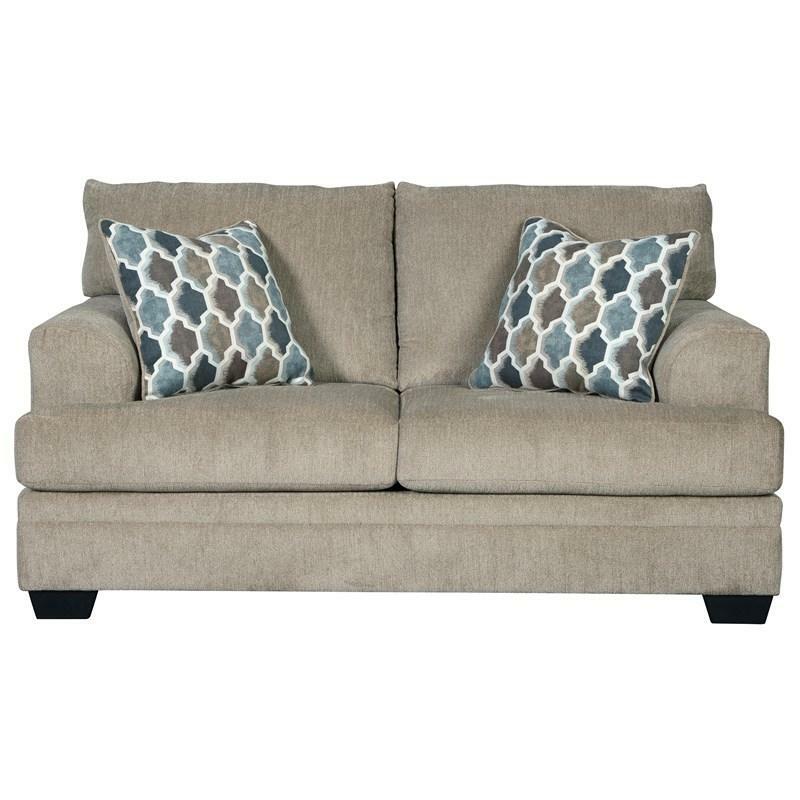 The patterned throw pillows in blue, brown and tan complement the richly neutral upholstery. This set includes a sofa and a loveseat. 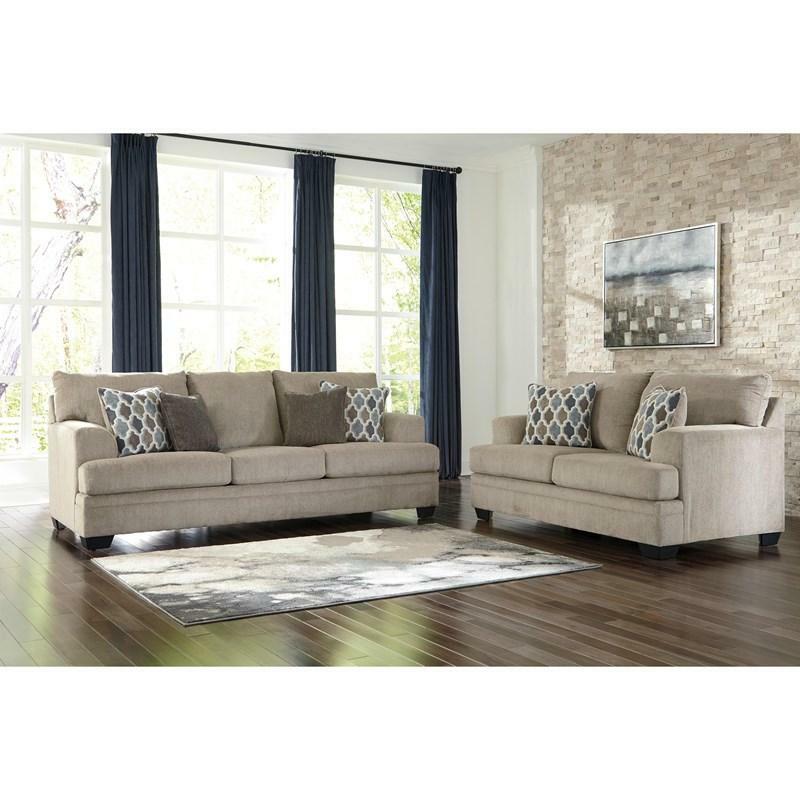 The contemporary Dorsten sofa has comfort written all over it. 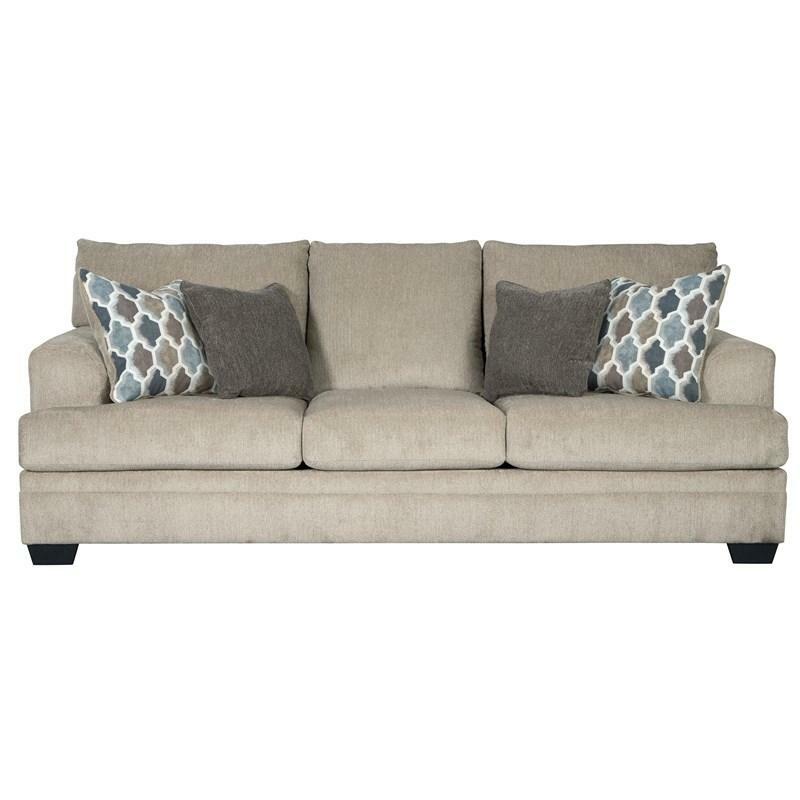 From the plush cushions to the textured tan fabric, it’s a total winner for relaxation. 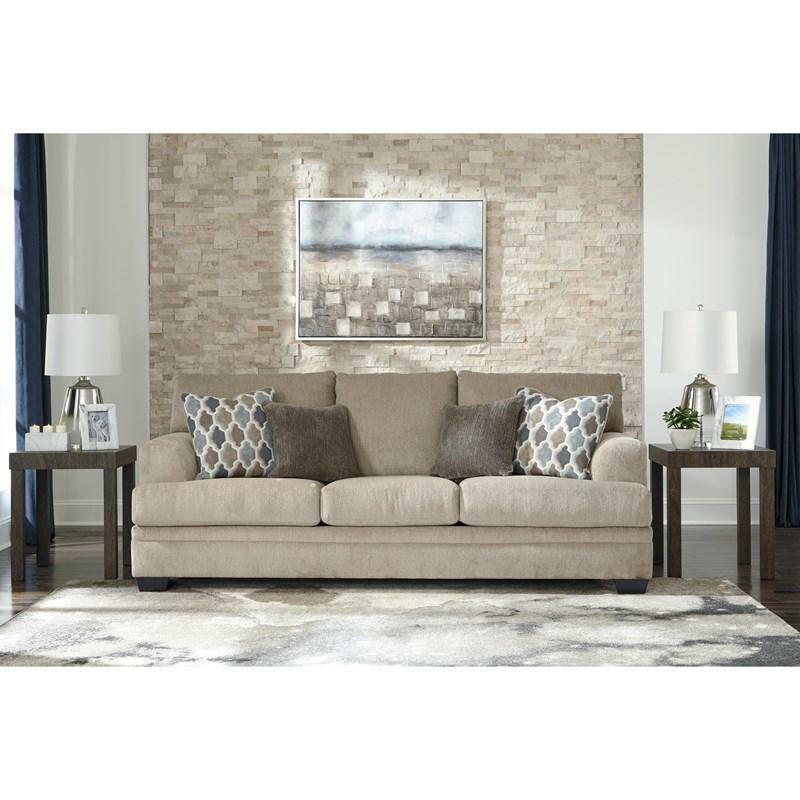 Designer throw pillows in blue, brown and tan complement the richly neutral upholstery.